The storage units at AA Self Storage’s location in South Hill, VA are ideal for storing your belongings, boat, RV and more. Our affordable storage center features self storage, portable storage, climate-controlled units, RV and boat covered storage and more — all include security precautions with 24-hour surveillance. If you’re looking for extra storage in South Hill, contact our storage rental facility today. 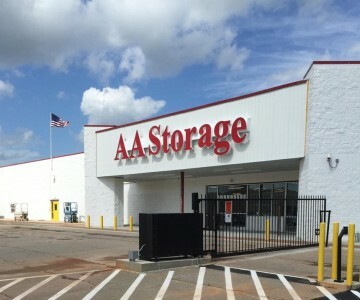 7:30 a.m to 10 p.m.
AA Self Storage offers self storage, portable storage and other storage options in South Hill, VA and throughout the states of Virginia and North Carolina. Our locations include Lynchburg, VA and Wilmington, Raleigh, Jacksonville, Henderson, Oxford, Butner and Porters Neck, NC.